RBV is an influential perspective within generic strategic management and industrial economics. It sees a firm’s competitive advantage as shaped by a bundle of internal “micro” resources, which are valuable and difficult to imitate. It focuses on the internal capabilities of the firm and not the market structure of a sector, spawning related concepts such as “dynamic capabilities” and “absorptive capacity”. In contrast to unitary perspectives, such as RBV, scholars from critical management studies see health care settings as characterized by power contests, attempts to impose managerial control, and professional resistance. 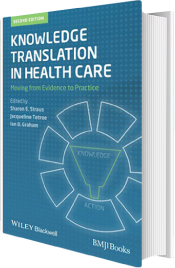 The reaction of health care professionals to novel knowledge management (KM) systems may include rejection or adaptation as well as acceptance. Public sector settings are seen as distinct from private firms, so corporate KM systems cannot be simply imported. Two broad streams of critical work can be distinguished: the labor process school and the expanding Foucauldian school. An organizational studies perspective suggests that underlying organizational form shapes knowledge flows. In health care, alternative governance modes include hierarchy, (quasi) markets and networks. Some literature suggests that network or laterally-based modes of organizing stimulate organizational learning.